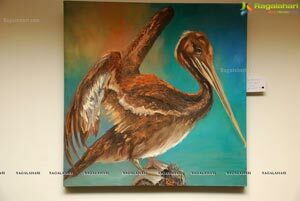 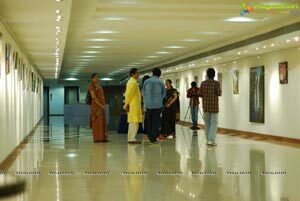 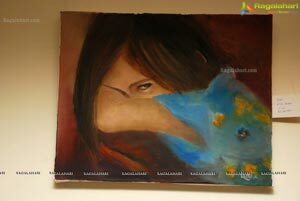 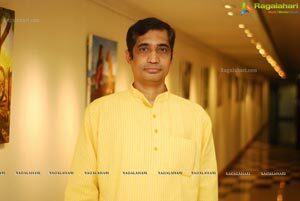 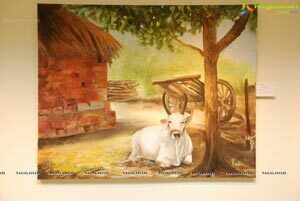 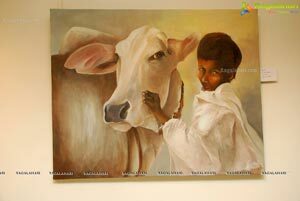 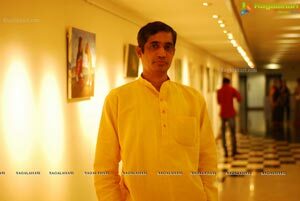 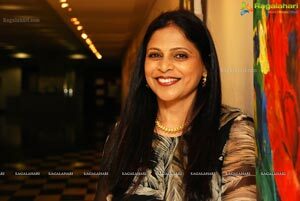 Art Life @ 55, Debut Solo Art Show by Radha Valluri Rao (USA) Inaugurated by Director Sekhar Kammula, Actors J.D. 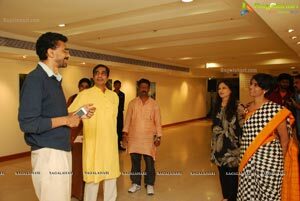 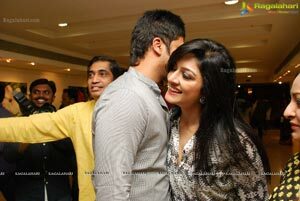 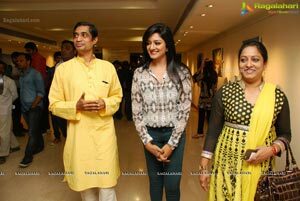 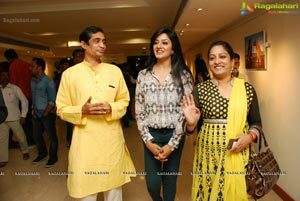 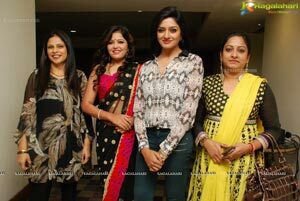 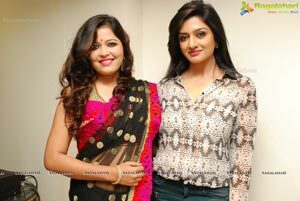 Chakravarthy, Vimala Raman at Muse Art Gallery, Hotel Marriott Secunderabad. 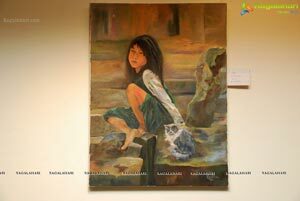 Painting Exhibition will be on till 28th December 2014. 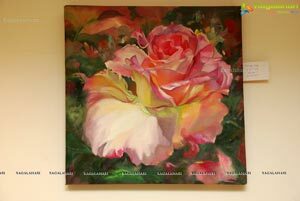 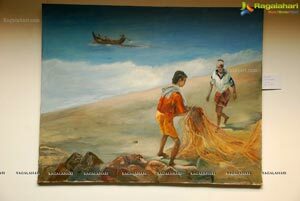 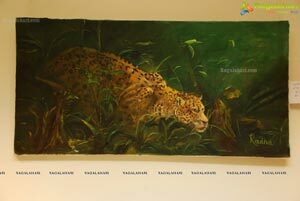 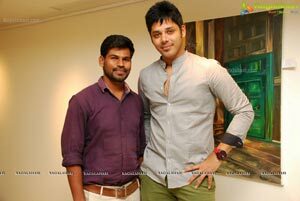 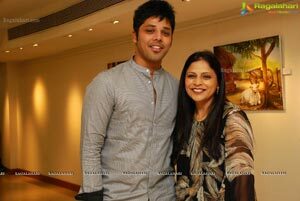 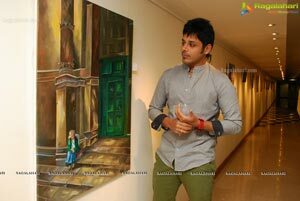 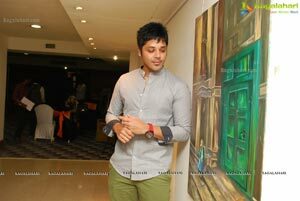 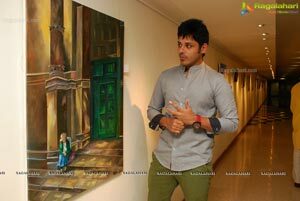 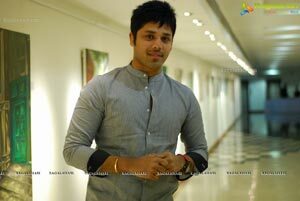 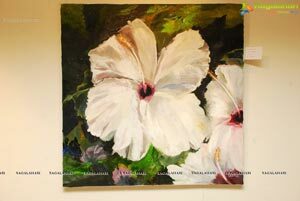 It's a fund raiser painting exhibition to support Pratyusha foundation, working in the area of Medical support to poor and needy children and women, A brain child of South Indian Samantha Ruthu Prabhu. 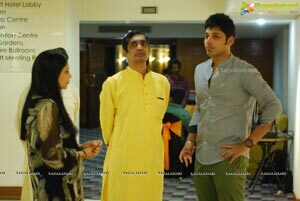 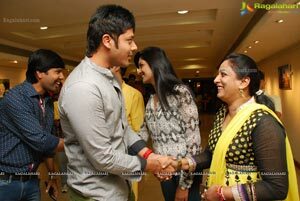 Actors, Pesarattu movie cast Nandu, Nlkitha Narayan fim Maker Sangeeth Reddy, Lyricist Sira Shree .Singer Raghu Kunche graced occasion, Noted by Socialite Geet Gupta. 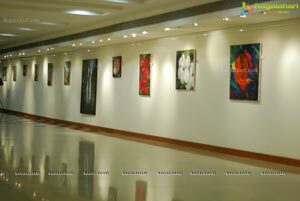 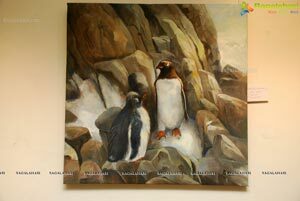 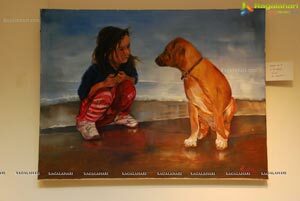 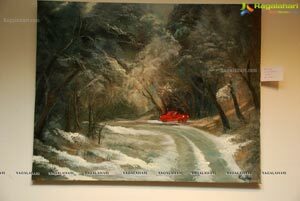 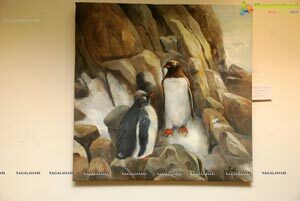 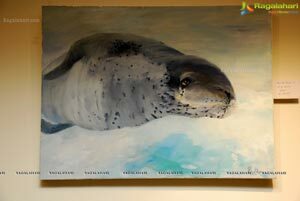 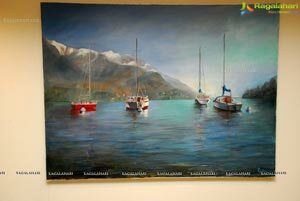 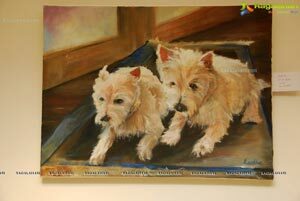 Art Lovers, City P3ps Saw Checking out on exhibition paintings on display. 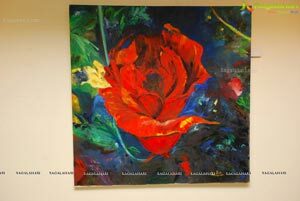 The oil paintings by Radha Rao contain both versatility and consistent quality ,Her insight and memories of her native homeland in India combine with her western explorations and art training to make her paintings believable and stunning. 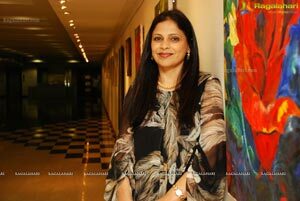 Radha's direct approach when applying paint to canvas, her selection of subject matter and use of color make her artwork unique and collectable. 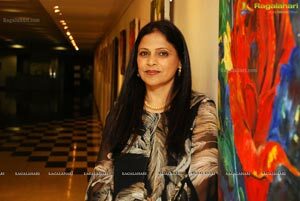 Her paintings amaze the viewer with small deliberate strokes, infusing color that delights the viewer’s attention with a maze of design. 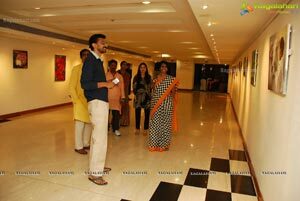 Artist Radha Valluri, Muse Art Gallery curator Kaali Sudheer Handed over cheque amount 25k through Shekar Kammula on behalf to Sashi, Pratyusha foundation.